"Incredible, amazing, and fun are just a few of the words that come to mind when I view the flash website you created for me! I asked for "the works" at the beginning of this project because I wanted a site that would catch and stimulate the viewer's senses while showcasing my artwork. Entheos developed both logo designs and layout designs that fit my unique and spirited artistic style. I am professionally impressed and completely delighted. Using the latest web technology including flash, sound loops and "way cool navigation", the design team at Entheos exceeded all my expectations. They responded quickly, the pricing was great and the work was first class! Great job!" "The team at entheos is a "best in class" web design organization. Their unique ability to understand customer requirements and provide guidance through the web design process was a real plus for me. They used a well thought out plan to assist in the development of the site taking my ideas and concepts and providing me with a combination of layout options. The final product included excellent graphic design and very professional presentation of content. I would highly recommend them for any type of web design services." "Entheos delivers. Entheos was able to take limited creative input from us and produce a site that was more than expected. The communication was excellent and timelines were met ahead of schedule. The true focus on quality and customer satisfaction was refreshing. Entheos gets my highest recommendation and many thanks." "The use of animation in website design is a challenge. It's not the technical aspect that is the challenge; it's doing it in such a fashion that the visitor finds it sufficiently interesting to actually watch. We have operated more than a dozen websites, but we never used animation to its full extent on a home page until Entheos helped us create Panama Wave. We're delighted with the results because our clients are delighted with the results. Once again, we have been impressed with the truly creative work done by Entheos. They took our idea and made it work. In the final analysis, that is what web design is all about. Thank you, Entheos!" "It was a pleasure working with you and your team. The final product exceeded my expectations and was an exceptional value. I will highly recommend your company to all." "Entheos have exceeded my expectations of what IT Support Line Limited required. IT Support Line Limited was a new business and needed designs for a logo, a business card and website. All the designs provided by Rachna and her team were excellent and thought provoking. The really great thing about Entheos was that the requests/amendments were put to them as late as the evening UK time and by 8am, the changes had been done. Communications between Entheos and IT Support Line Limited were excellent and we will be recommending them as a high quality design team." Bob Adams, President and CEO, Future Brief, Inc.
"We entrusted both our corporate site at ngiweb.com and our special Web publication at futurebrief.com to the wonderful people at Entheos. The sites were designed the way we wanted them and both have been successful. We were especially appreciative of the very cooperative attitude of Rachna and her staff at all points during the design. That was enough to satisfy us, but the Entheos' inexpensive rates were especially important as they allowed us to complete our sites within very tight budget limitations. I can recommend Entheos without hesitation to anyone seeking quality and value combined." "After a few weeks of feedback regarding the new site, I wanted to share with you that weve gotten a lot of compliments. Again, thanks for your work. You did a wonderful job." "Wow! Wonderfully put together website to suit our needs. Sunbeam's creative portfolio has been superbly presented in a unique style and with absolute clarity. Rachna's enthusiasm and patience encourages clients to return to Entheos for specialised web solutions!" "As managing partner and business entrepreneur at Spectrum, with extensive experience in sales, marketing and customer service, I have interacted with top branding companies while working with General Motors Corporation for almost 10 years and United Technologies for 8 years. I would like to congratulate the Entheos team for their superior service, their understanding of the subject matter, creativity in designing a website that could sell and producing work that exceeded our expectations. The solutions and suggestions given are all up-to-date and we highly recommend them to the world. We thank Rekha, Trixie, Rajan and Rachna for delivering the website before the due date"
"We would like to thank you and your team for all of your excellent work. The reason we chose Entheos was because of the creative website designs on your testimonial page, and your pledge that integrity was very important to you and your company. We are extremely satisfied customers! You far exceeded our expectations in all areas, from the creative logo designs, to the web designs and stationary packages. The work was timely, the quality is excellent, and your integrity is superior! We would highly recommend Entheos to any company in search of a high quality web designer!" "There is no better value out there for custom web design services than Entheos. Their staff is attentive to detail, responsive to requests and accomodating to their clients' needs. They did a great job in creating our law firm's website. " 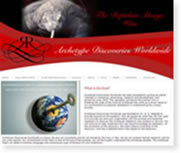 "I wanted a very professional website for my new business. As I started surfing the web, I found your business last year. I bookmarked your website because I was so impressed with your work. When I read further into your company, your values stated “We follow ethical principles in business and our integrity is uncompromising.” I must say, you follow your values to the extreme. I gave you an idea for my website, and you took it to another level. Thank you so much for giving me the best results. You are the only company that I trust because you do not take your time in completing a project. I received my banners in one day for preview with minimum specifications. You know me so well, I don’t think I want to go anywhere else. You created my website, my book cover design, my logos, and you did more than a great job on my banners. " "My experience with Entheosweb is easy to describe; professional, pleasant, & result oriented. They were one of those rare things these days, they did what they said they would, within the time and price quoted. " "Working with Entheos was one of the most professional and pleasant experiences that have I encountered when dealing with a web design company. Instead of feeling frustrated, I felt supported, understood and guided. They created a design and format for our company that contains the large amount of content that we need to display, in an easy to navigate environment. Their response time was immediate and they were able to capture the essence of what we wanted our website to convey.I am completely satisfied with their work and would highly recommend their services." Tandy Green - Chicago Kids TEK, Inc.
"WOW! is the word that describes our reaction when we first saw our new logo designed by Entheos. Our entire team was impressed and couldn't wait to get their new business cards, which were also designed by Rachna and her fantastic team. But the creme de la creme is our website. That is a double WOW! Rachna and her team have truly outdone themselves. Their work far exceeds not only our expectations, but it surpasses anything and everything that we looked at when we were evaluating vendors. We interviewed no less than 12 US-based logo/website design firms before selecting Entheos. We are more than pleased, and already planning to return with more work for them! "Working with you and other individuals at Entheos has been an absolute pleasure. You were able to take my vision and create a website that captures how I wanted Accents by Design to be presented. I really value how responsive, professional and creative Entheos has been during this process." "Thank you again for the beautiful web site. I admit I was reluctant at first to send you money since you are so far away and I had been burned by Internet developers in the past. However, you quickly set my fears at ease. Within a few days, you sent me two beautiful designs to choose. I gave you some suggestions and a few days later, you sent me exactly what I wanted. From start to finish, the entire project took two weeks and now I have a very nice site that receives many compliments. Please thank everyone in your organization and I will be happy to speak to others should they wish a recommendation on your company." "Entheos stands for quality, creativity and a bargin price. Rachna and her crew came through with exactly what I was looking for both with my logo and my website. I have reccomended them to everyone; my hope is that my customers aprove of my service as I do of Entheos' work"
"Entheos had been an absolute pleasure to work with. They provided me with creativity, efficiency and promptness. I was very impressed and will continue to do work with Entheos." "Entheos provided exactly what I was looking for. They delivered a first rate website with all of the functionality that I need for my company. They were creative, responsive and very reliable. Entheos offers amazing value and I would enthusiastically recommend them to anyone in need of website solutions. " "Entheos helped us put together a great website for our organization. Rachna showed great sensitivity to our particular needs and helped us create a site that reflects the international, non-commercial and yet professional nature of our organization. I want to specially emphasise the flexibility they showed in accommodating our various needs as articulated by the different members of our team in Canada, Italy and Central America." "Entheos has done a great job on designing our website! The product page looks great and is exactly what we want. Thanks to their attention to detail and her hard work, we were able to launch the online marketing for our new business rather quickly! Luis Inoa, Gamma Omega Delta Fraternity, Inc.
"My experience with Entheos has been nothing but positive. From the price to the quality of the service I would not hesitate to use Entheos again. My organizations website finally reflects the quality that we strive for. We were rather picky customers but Rachna and Entheos met and exceeded our expectations." "The design team at Entheos took my concepts and created a beautiful new identity and market place for me to present and sell my designer line of jewelry and handbags! From company logo creation to website design the site includes: flash, sound loops, professional product images, secure web payments and easy navigation. They are the new generation of Macromedia web designers, wildly creative and completed the job professionally with a unique touch. If you require excellence delivered consistently, if you insist your project must be completed on time and on budget then don't wait engage Entheos. They are terrific!"